Below you can view all the homes for sale in the Scotts Mill subdivision located in Apex North Carolina. 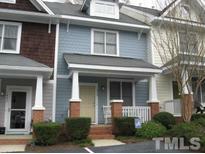 Listings in Scotts Mill are updated daily from data we receive from the Raleigh multiple listing service. To learn more about any of these homes or to receive custom notifications when a new property is listed for sale in Scotts Mill, give us a call at 919-759-5775. Great community with many family friendly events. Very conveniently located. MLS#2244828. 466. Home is being sold AS IS. MLS#2248067. 4765. Hurry-this beauty won't last! Does NOT back to 540! MLS#2247557. 1755. Minutes to adorable downtown Apex, shopping and dining. Easy access to I-540. MLS#2242261. 4785. Community features swimming pool, park, tennis, basketball and volleyball courts. Easy access to Greenway. 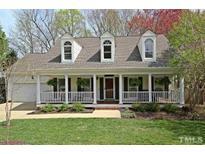 MLS#2239980. 633. Showings begin Friday 3/1 at 3:00pm. MLS#2239339. 4933. Community Swim club, Gardens, Tennis, Basketball, Volleyball courts, playground, and Greenway Access! Home is Central vac wired. MLS#2238655. 5095. Beaver Creek shopping center and Historic Downtown of Apex nearby. MLS#2238108. 2731. Trails along the greenbelt and common area maintenance are part of the HOA. MLS#2209483. 4823. Tons Of Upscale Features Are Included In Our Homes!! ! MLS#2087135. 2983. Tons Of Upscale Features Come In Our Homes! MLS#2087137. 2983.